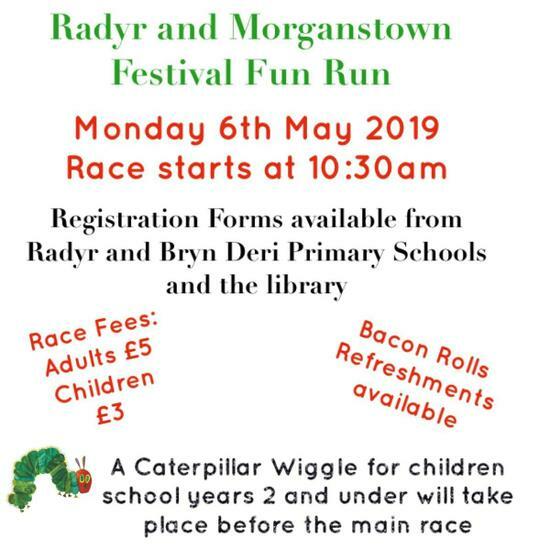 The joint PTAs of Bryn Deri and Radyr Primary will again be organising this years R&M Festival Fun Run in aid of Action for Children (the community nominated charity). Join us at Radyr Primary School for a ‘Caterpillar Wiggle’ for the little ones and our traditional 5K fun run! Fancy dress welcome. Serious and non-serious runners welcome. Adults £3 children £2 (if entry forms returned to school by Wednesday 1 May). Entries on the day Adults £5, Children £3 (pre-race registration from 9:00am to 10:00am). Enjoy us for bacon rolls and refreshments afterwards! Sponsorship forms are also available for this event to raise as much as we can for this years charity!